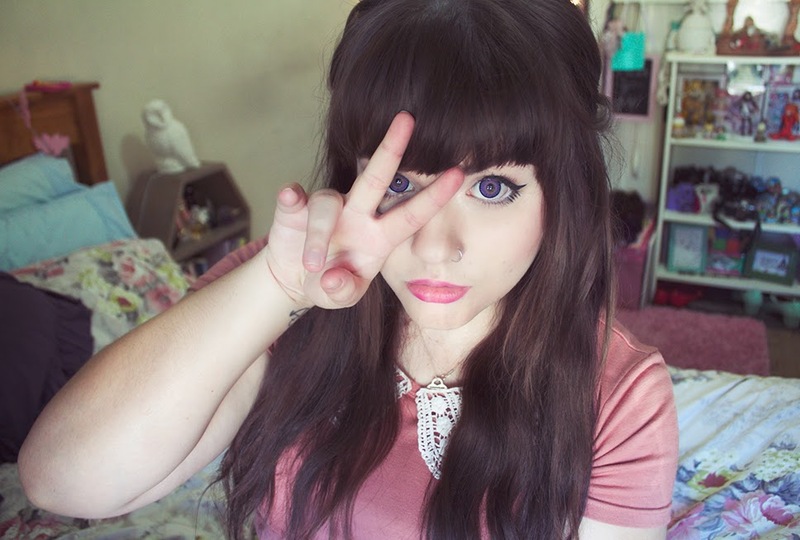 In case you hadn't noticed, circle lenses are my new favourite beauty product. I love how they completely transform my face, and these Vassen lenses kindly sent to me by the good folk at Pinky Paradise me feel almost a little bit otherworldly! The neat thing about having blue eyes is that they seem to blend very well with different shades of lenses, the only way you can see my natural eye colour is when my pupils shrink in the direct sunlight. The colour of these lenses is SO intense, it took me a little while to adjust to and at first I wasn't sure whether or not they suited me, but after I got used to them I loved the colour! I think it's because I was expecting an Elizabeth Taylor shade of violet eyes, not super bright purple haha. These lenses are 14.5/15 millimetres in diameter so they offer a lot of enlargement. They're also very comfortable! Now that I know what to expect when it comes to wearing contact lenses it only took me one try to get them in, and there was only a little bit of eye watering as I got used to them. Aside from an occasional flash of purple when one of the lenses moved a little bit when I blinked, they were very comfortable to wear. They're obviously not very natural, but they're not so strange that you'd scare small children if you wore them out shopping or something! 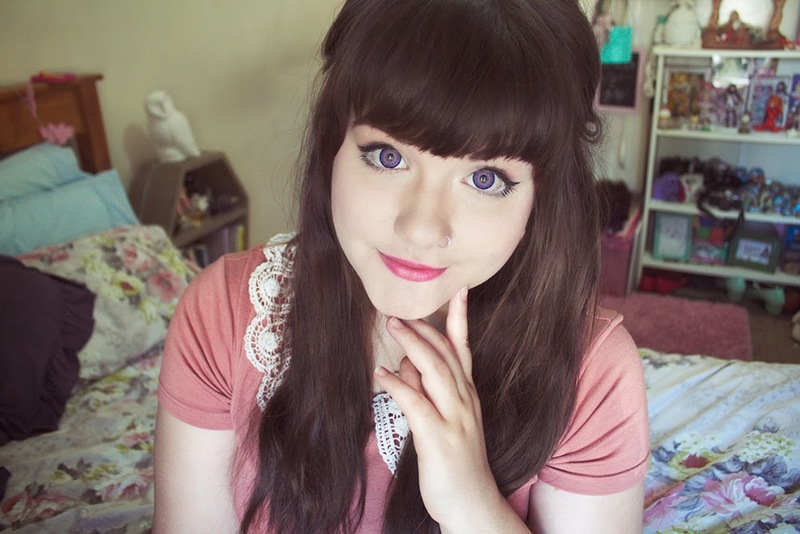 You can get your own set of violet eyes here for $23.90, and don't forget to enter the code 'myfriendmunster' at the checkout so that you get a cute lens case to store them in and a mystery gift for free! + Click here to tell the peeps at Pinky Paradise that you like my review! Gah, you look like a doll. Lovely. Thank you very much! 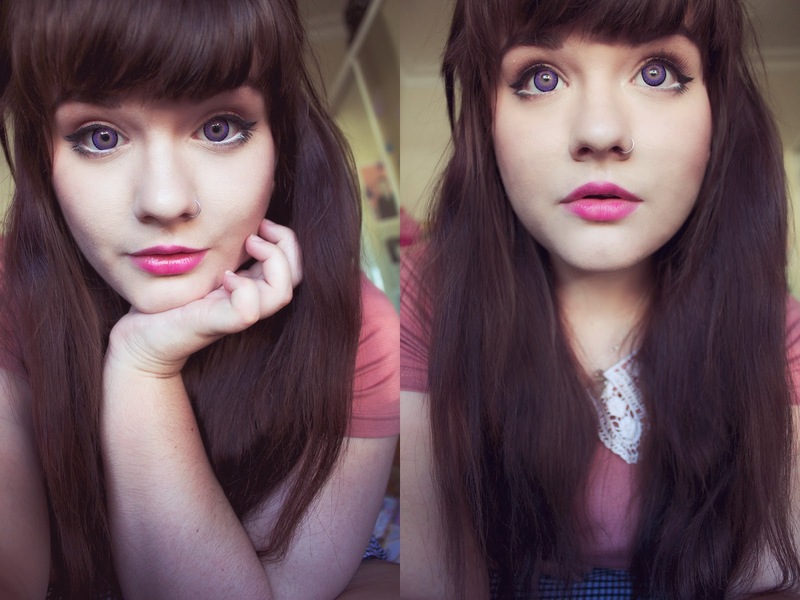 I've been playing around with gyaru-inspired makeup looks lately so I am glad to hear they look as doll-like as I hoped they would! 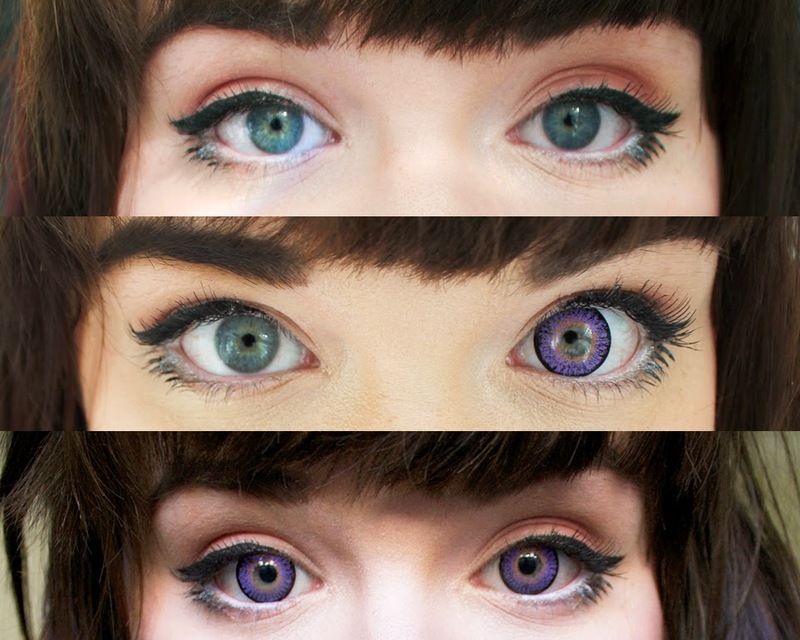 These violet lenses look amazing - they suit you! They seem big as well and makes you eyes look dolly!